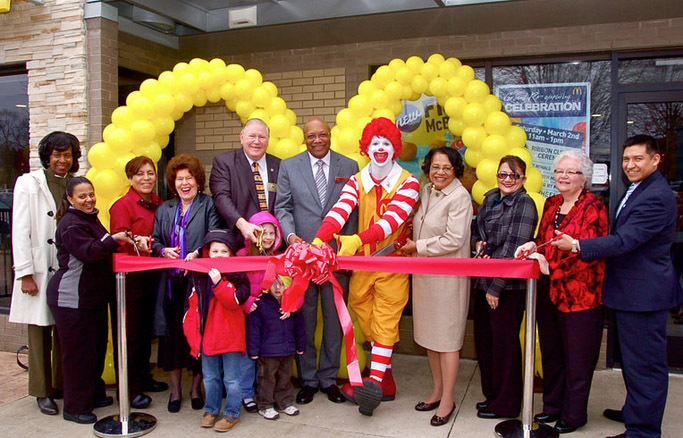 Ronald McDonald has also visited some neighborhood libraries to share his “Book Time®” show. Book Time® is an entertaining show that teaches students the importance of books and that reading can be fun. 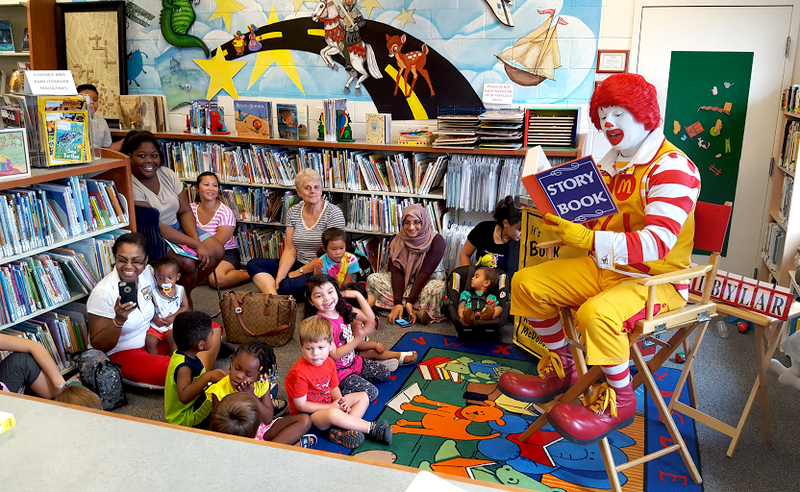 Ronald McDonald brings a very powerful message to the children – the value of books and the enjoyment that comes from reading. The show includes hands-on volunteers from the audience who assist Ronald with his Book Time® adventure. 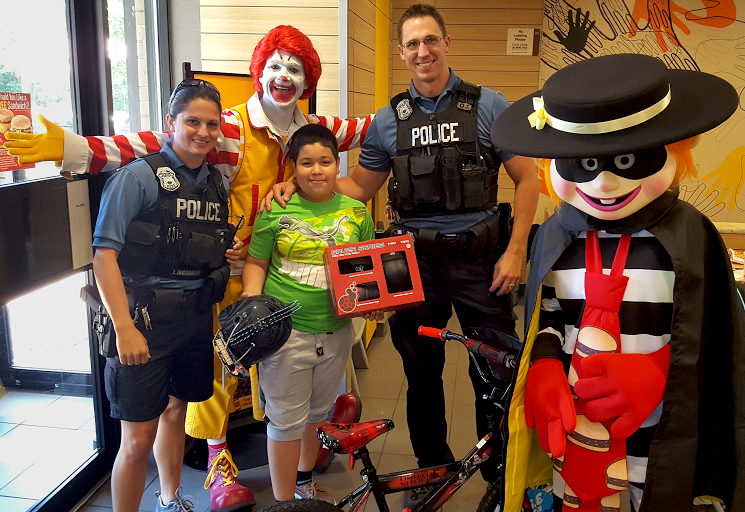 McDonald’s # 10000 hosted a “Bike Safety” event with the Prince William County Police Department. 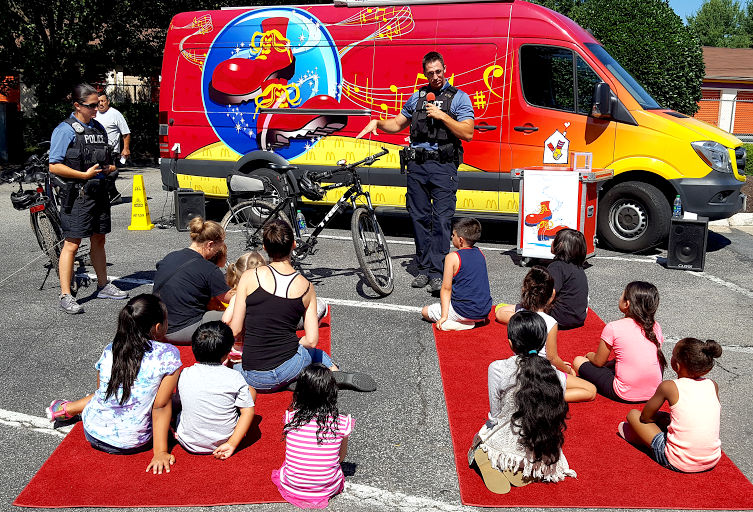 Officers Gray and Ingraham spoke with children about how to be safe over the summer when riding their bicycles. We also had 3 bicycle raffles, complete with helmet and safety gear. 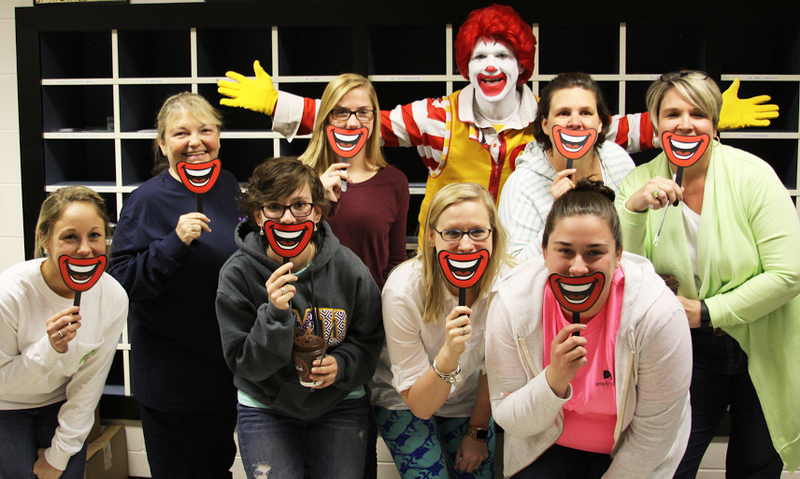 We showed Lovin’ to teachers at 14 schools, with a surprise visit from our Chief Happiness Officer, Ronald McDonald, on Teacher Work Days in Spotsylvania, Prince William and Fairfax Counties. The event is called “Work Day – Perk Day”. The purpose is to bring a little joy to local teachers who work so hard to educate, guide and inspire children each day. That is why we brought hot coffee and warm cookies. Teacher work days are usually filled with piles of papers to grade, meetings and training classes. These Work Day – Perk Days brought smiles to their faces and provided a much needed playful break to their workday. 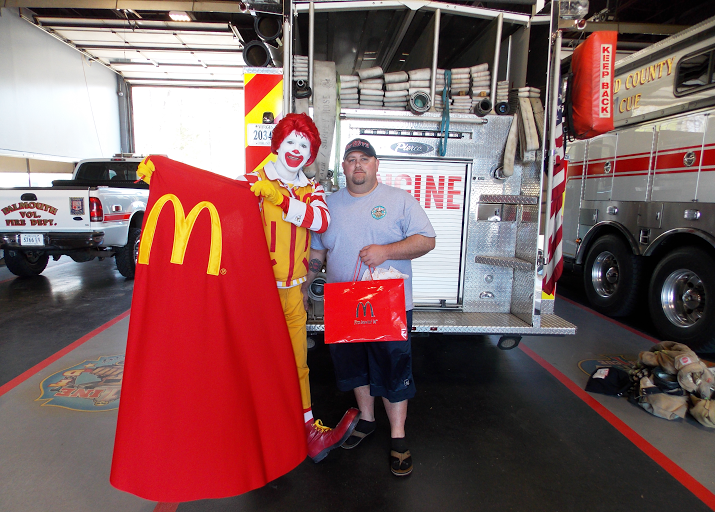 Our Butler McDonald’s # 7430, honored two local firefighters with superhero capes and $100 in Arch cards. The two hero’s, Capt. Kelley (pictured) and Sgt. Bloom, were on their way to McDonald’s for lunch, when they saved an 18 month old little girl who suffered a seizure. We are thankful to have such dedicated emergency responders in our community. 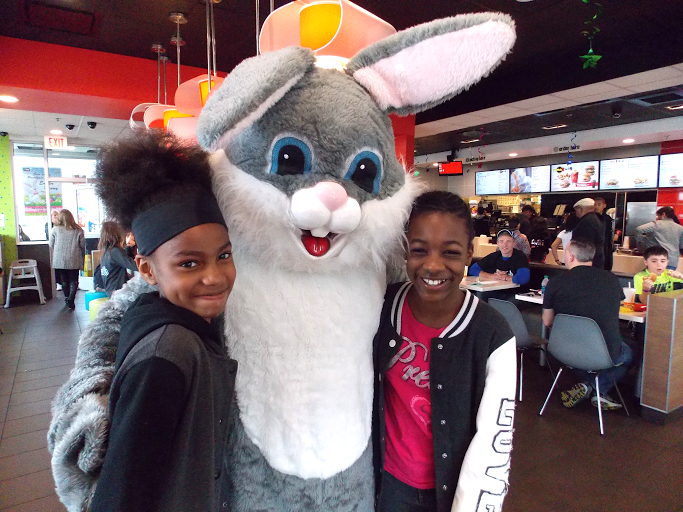 The Easter Bunny stopped by several of our McDonald’s to visit with customers. 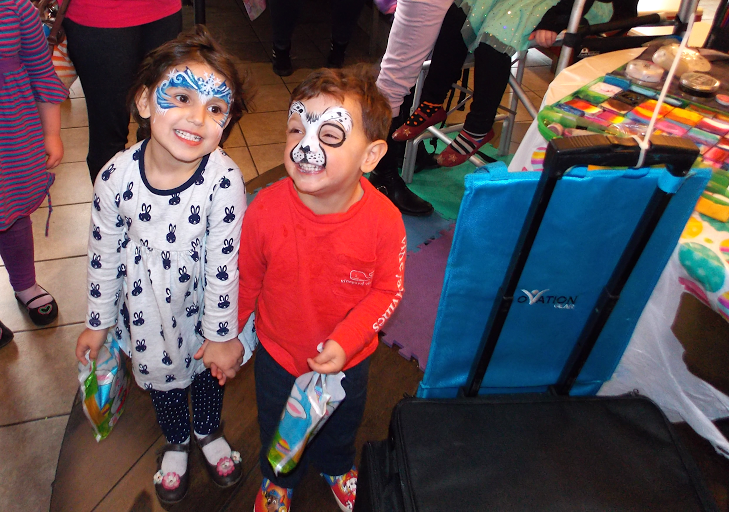 Children were invited to play games, get their faces painted and decorate hotcakes to celebrate All Day Breakfast.